I have just seen a message on Facebook about the RNLI Cod Open fishing competition that was due to be fished this Sunday the 20th of October. Due to the forecast weather conditions the organisers have rightly moved the date of the match to the 17th of November. I managed to get a lure session in just as the weather was building and I managed to get another Bass on the large Mommotti 190 that I featured earlier in the week. Obviously this Bass hadn’t bothered to read my post, if it had done it would have realised that a fish as small as it was should not have grabbed such a huge lure. Unfortunately I lost the lure a couple of casts later and have only just managed to replace it now. I can’t wait to get back out there and prove that it can catch big fish as well. I am so fed up with Weymouth and Portland council and there short sited thinking. There latest idiotic idea is to demolish Weymouth Angling Society club house in favour of a few car parking spaces. The way that they are ruining the main source of income of this town, the tourist industry, means that we wont need additional parking. No one is going to come to Weymouth soon. Please look at my petition to save the club house and if you agree with it them please sign it. Most importantly help to use social media and spread and share it in every way that you can. Update on the petition!! A few people have said that they have been asked to give a donation for using the petition. This is obviously iPetitions way of trying to make money by hosting these petitions. I just want to say that you do not need to donate anything, and if you do neither myself or Weymouth Angling Society will receive anything from iPetition. 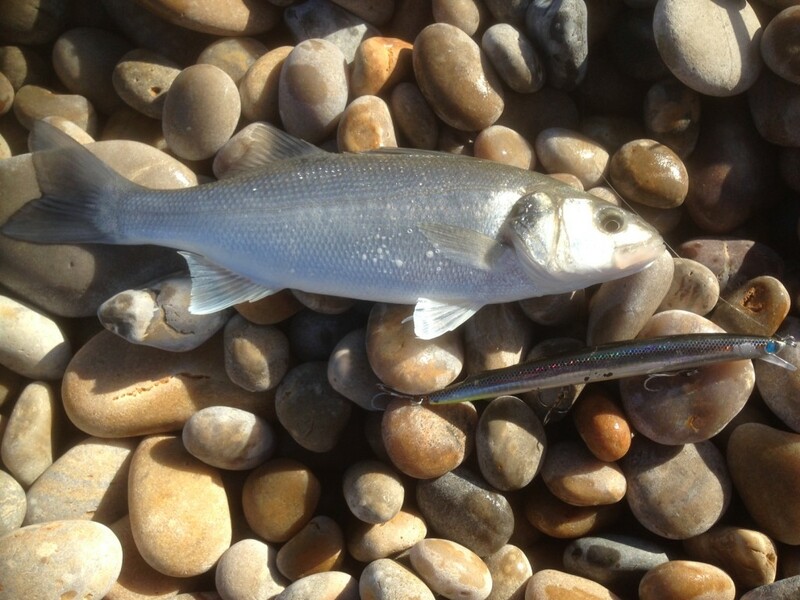 Chesil Beach forecast: If you fish today you will have a good chance of Bass, Codling, Bream, Dogfish, Pout, Rays, Plaice and even Mackerel and Garfish. Tomorrow it will be Bass and Cod in the churned up water. make the most of today and this evening if you can, as I believe the fishing will be very good today. If you do fish over the weekend take care, as it will be dangerous. Big baits for big fish. Portland: The area that are safe to fish around Portland seem to be full of weed. The Wrasse don’t normally feed when there is a big swell, or if they do then they must move into deeper water to do it. Bass are always a possibility, if you use a large bait and keep out of the weed. Portland Harbour: The same as yesterday. Hamm Beach and Ferrybridge are good back up marks in this type of weather. Go light and you will have a good chance of getting a Bass or a Flounder. Use lures all along the shoreline and you might be surprised at what might be out there. At this time of year there are plenty of Garfish, Mackerel, Scad, Pollock and bass in the harbour. The best lures are surface lures, or ones that fish just under the surface. I watched Pollock hit the bait fish all along the rocks around Portland Marina yesterday.